UK SME’s have been experiencing some unwelcome surprises when it comes to their overdrafts, something we feel could be a main driving force steering small businesses away from the banks and toward alternative finance – great news for us here at Davenham Trade Finance! So what exactly have the bank been doing to cause these issues? New research has found that banks are withdrawing millions of pounds worth of finance every day from small businesses without any warning, and unsurprisingly this was one of the most common reasons small businesses complained to the Financial Ombudsman Service this year, with 741 complaints made. However, it’s likely that this is just the tip of the iceberg, as only the very smallest businesses can make these complaints to the Ombudsman, so the businesses with over 10 employees, or with a turnover of more than €2m, are unable to make complaints about these issues – which makes us wonder exactly how many people are experiencing this? 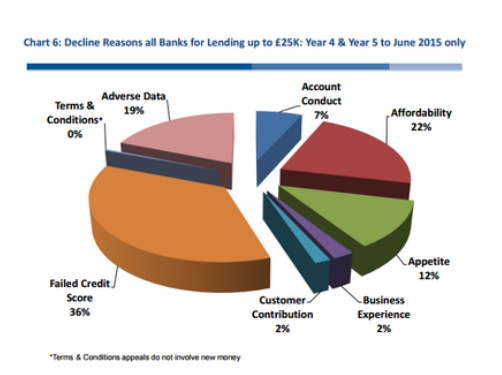 Recently revealed statistics showed a staggering average of £3.7m per day of overdrafts that have been withdrawn by banks over the past 4 years, and this is something which is evidently going to be hitting a lot of small businesses hard. In addition to the issues with SME overdrafts, the latest quarterly report from Professor Russel Griggs, an external independent reviewer, has shed some light on what seems to be much deeper issues when it comes to SME’s and the banks. The Professor’s latest report shows that 1 in 4 small businesses were wrongly turned down by the banks to receive funding, in addition to the 858 appeals made by small business owners who felt that they were wrongly turned down for finance by their bank. These issues have unsurprisingly been a key motivator when it comes to turning small business owners away from traditional lenders like the banks, and towards alternative finance. It is estimated that SME’s are currently using around £76bn of alternative financing, and in just the last year there has been a huge increase of 43% in SME alternative financing, making the UK alternative finance market the largest in Europe. Although banks are seemingly driving small businesses towards alternative funding, there is still an unmistakable knowledge gap when it comes to SME’s and their awareness of the benefits of alternative finance, where to find it, and which route is most suitable for them. When there are so many alternatives to traditional funding methods from the bank, it is essential for small business owners to explore the many options available in order to find an effective funding solution. If you are unsure of the alternative routes of funding, or feel that trade finance could be the best route for your small business, get in touch with a member of our friendly team to discuss your alternative funding options.